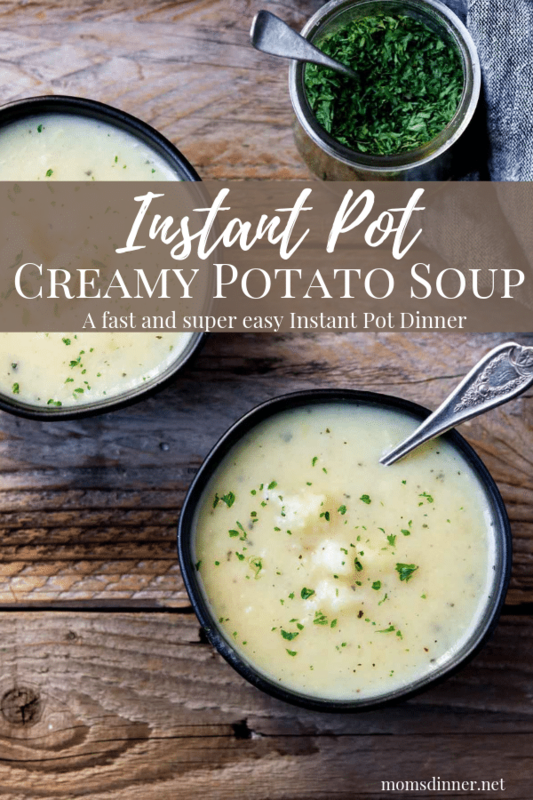 If you are looking for one of the best Instant Pot soup recipes, then keep reading (or jump to the recipe). 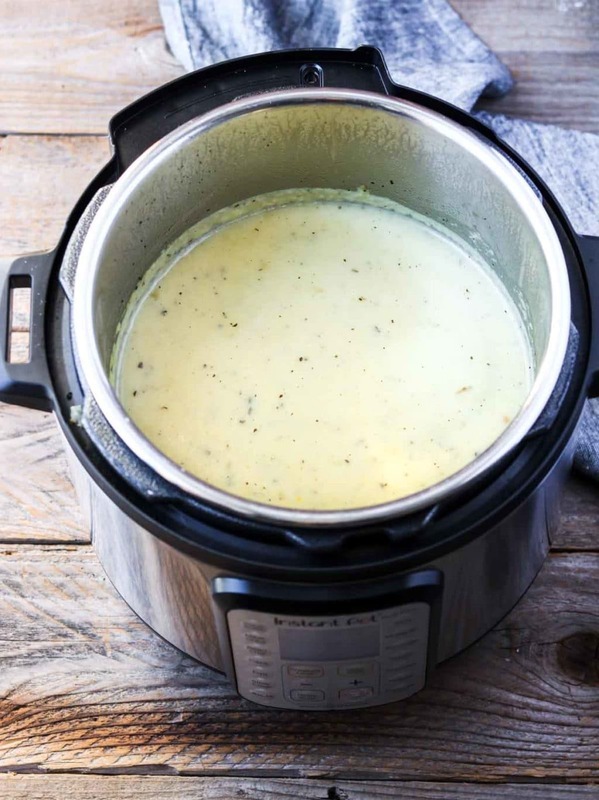 This Instant Pot Potato Soup is made in a flash in your pressure cooker (you will only be setting your IP for 4 minutes) and it is full of flavor. 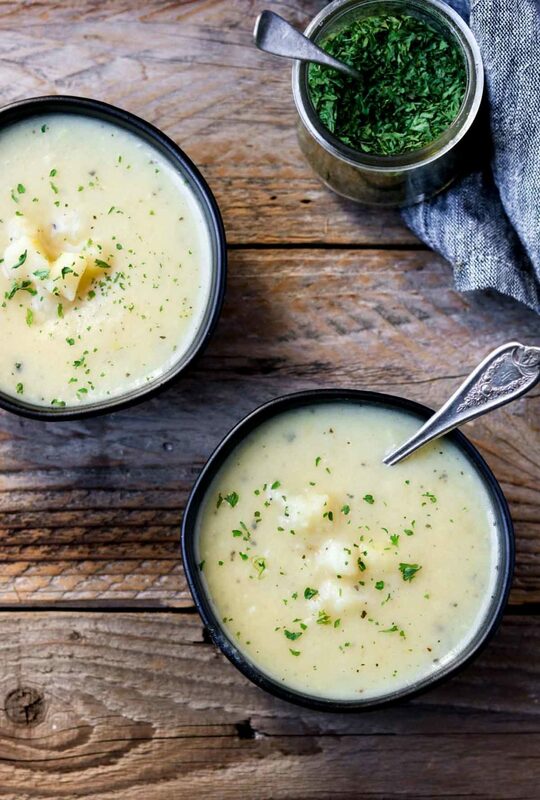 It has a thick and creamy broth combined with tender chunks of potatoes. 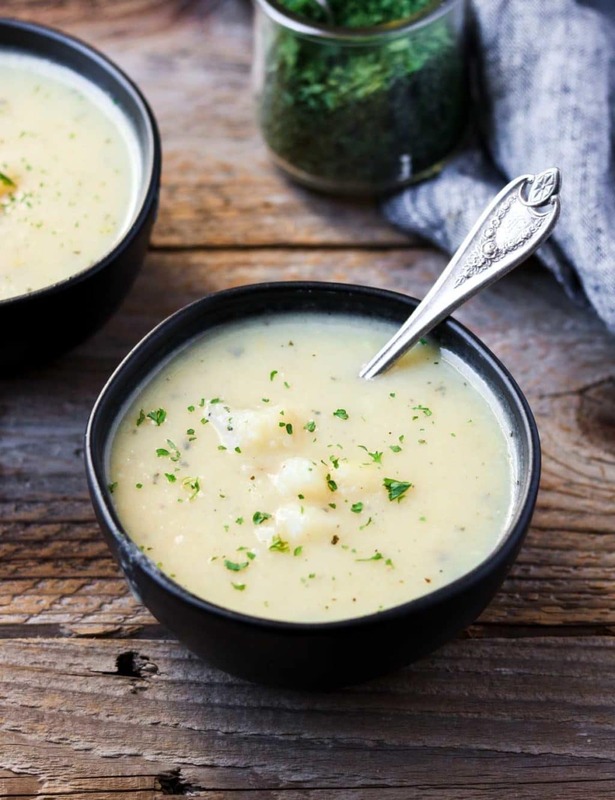 This potato soup recipe is made without using cream cheese. Instead, I thicken it with a combo of Greek yogurt and instant potato flakes. You could also sub sour cream for the Greek yogurt. I just like using the yogurt to make this potato soup a little healthier. Creamy recipes are kind of a no-no when it comes to your Instant Pot. The heating element and the pressure can creates a burn environment for anything creamy or cheesy. However, in this recipe the main items that “cook” in the pressure cooker are just onions, potatoes, seasonings and broth. All the delicious creamy ingredients are added after the potatoes are cooked. 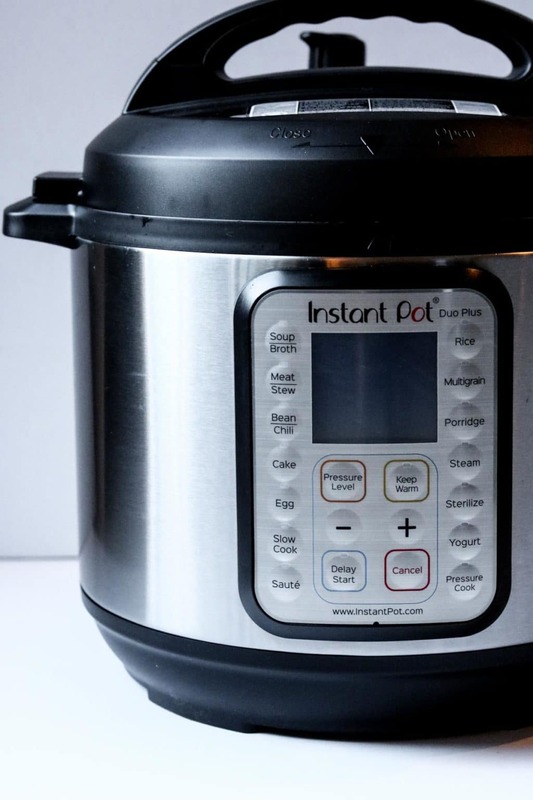 I use the Instant Pot Duo 60 6 quart 9-in-1, I like this pot because it is big enough to make larger recipes, yet small enough to store. However, I don’t know that I will ever use all 9 functions, but they are there if I need them. I also recommend the Instant Pot Duo 6 quart 7-in-1. 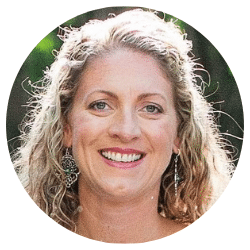 I know I have talked about this awesome, super-secret ingredient in my recipes for Steak Soup, Chicken Noodle Soup, IP Chicken Bone Broth and my IP Beef & Barley. 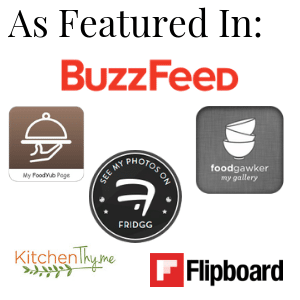 Okay, so it’s not really super-secret, you can get it at any grocery store, but it is a game changer in the kitchen! Chicken Base (or Beef Base) is like a flavor packed punch that you can add to your recipes! Regular bouillon cubes do not hold a candle to this stuff. You can find it in the soup aisle at any grocery store, it will be near the bouillon. It comes in a jar or tub and has a paste consistency. I use both L.B. 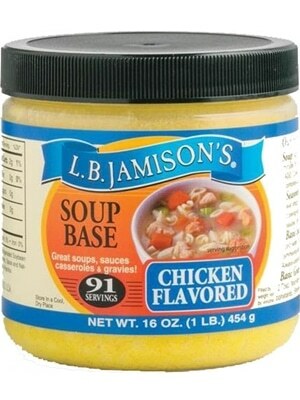 Jamison’s or Better Than Bouillon brands. Do not turn your nose up at Instant Potatoes! They definitely have a purpose and place in the kitchen. I 100% would not use them to make mashed potatoes on Thanksgiving. But, they make an amazing thickener for potato soup! 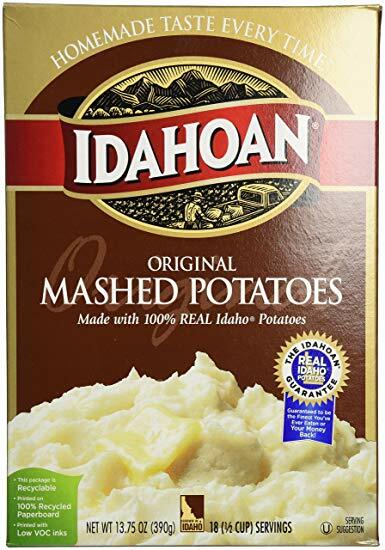 I do find there is a quality difference in Potato Flakes, so if you can, buy a better brand, like Idahoan. I like to buy the original or butter flavor potato flakes. You can experiment with fun flavors like garlic or applewood smoked bacon, but I have not tried those so I cannot give any advice on using them. Peel your russet potatoes and cut them into large chunks (about 1 1/2 – 2 inch). Chop the onion into a small dice, and mince the garlic. With your Instant Pot on saute mode, soften the onions and garlic in the olive oil for about 5 minutes. Then stir in the spices, seasonings, chicken base, and broth. Now turn off the saute mode. Time to add the cubed potatoes. Give it a little stir. Pop the lid on, and lock the pressure vent to the seal position. Set the pot to manual mode (pressure cooker), on high, for 4 minutes. I know, 4 minutes! It’s crazy! Do a quick release of pressure. Remove the bay leaf so nobody has to crunch thru it (I’ve also heard they are poison if you actually eat the leaf, that can’t be true, can it???). Using the back of a spoon lightly break up some of the larger pieces of potato to give the soup good texture. Now, slowly stir in the potato flakes. Then stir in the half & half and the Greek yogurt. Let the Potato Soup rest for about 5 minutes before serving. This will give the potato flakes time to absorb the liquid and thicken slightly. Taste for additional seasoning and serve! 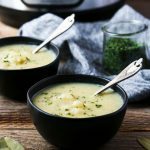 I hope you give this recipe for Instant Pot Creamy Potato Soup a try in your kitchen. 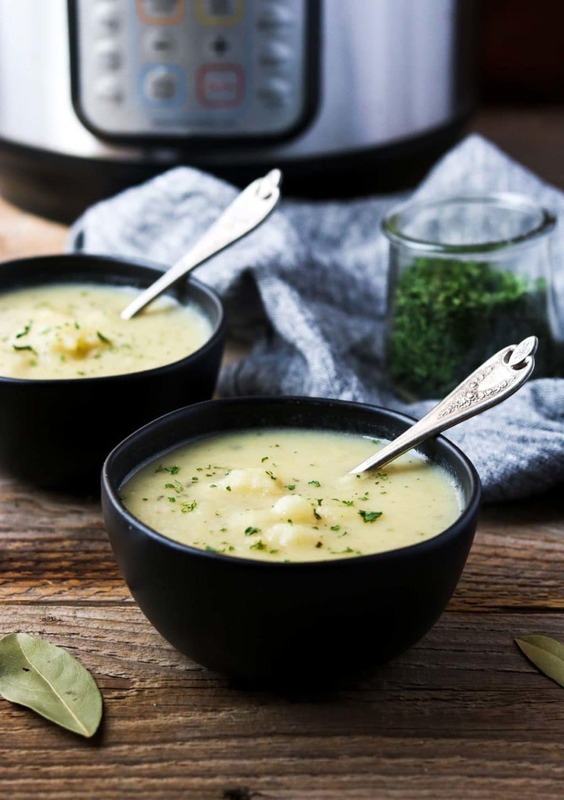 One of the best Instant Pot Soup Recipes, this Creamy Potato Soup only cooks for 4 minutes in your pressure cooker and is full of tender chunks of potatoes and seasonings in a creamy broth. 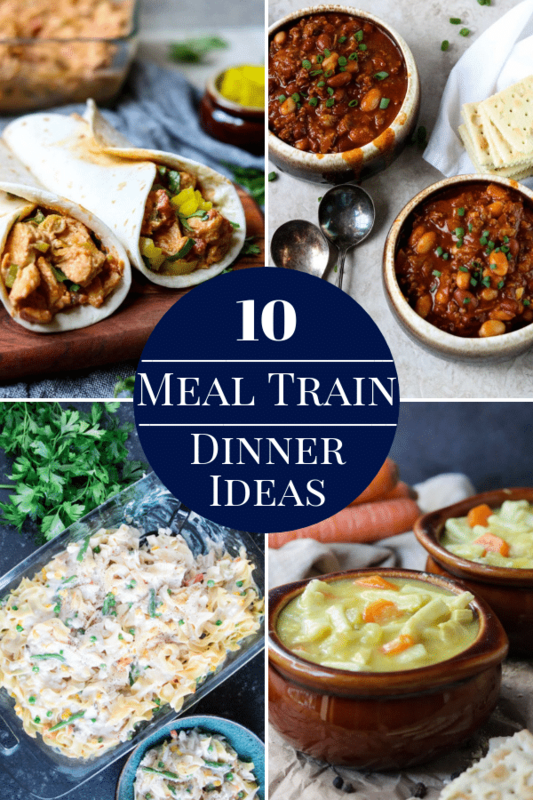 This makes a great Instant Pot dinner on a busy night. Set your Instant Pot to saute mode and soften the onions and garlic in the olive oil for about 5 minutes. Add the onion powder, garlic powder, season salt, pepper, bay leaf, chicken base, and chicken broth, and potatoes. Give it a stir. Put the lid on and lock the top pressure vent to seal. Set the pot to manual/pressure mode, on high, for 4 minutes. With the back of a wooden spoon smash some of the larger potato chunks against the side of the pot, giving the soup great texture. Slowly stir in the potato flakes. Mix in the half & half and Greek yogurt. Let the soup sit for about 5 minutes before serving. This will give the potato flakes a chance to absorb the liquid fully. This soup will thicken as it sits in the fridge. You may need to add additional milk or chicken broth when reheating. I never thought to use instant potatoes to thicken – GENIUS!!! Holy Moly! I swear they could cut your throat, they can be super sharp. But they are so good in soup! 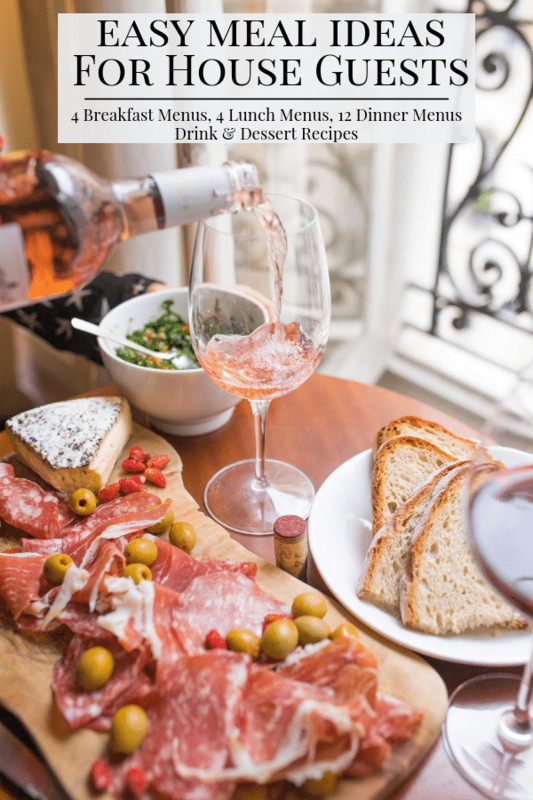 I hope you enjoy the recipe. I love how easy and delish this was!! Love how quick and simple this is. 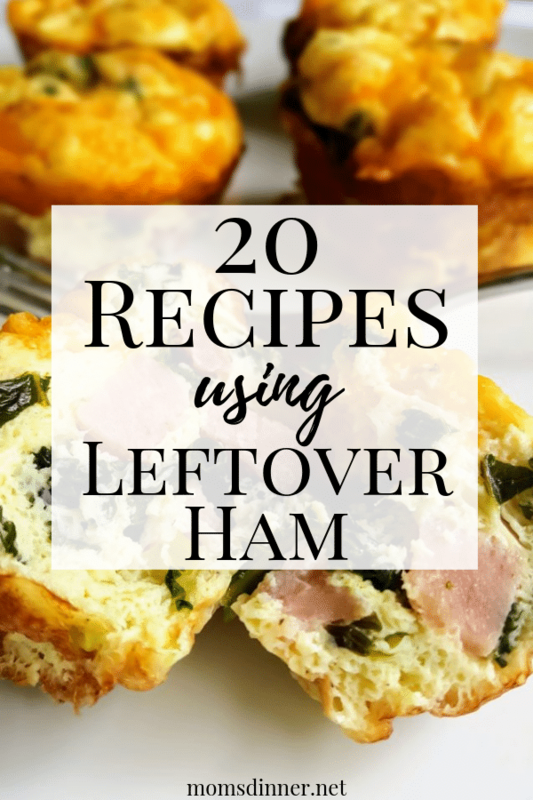 The instant pot really is a game changer, makes things so easy! !